It’s 2019, and the words “religious feminist” seem to go together about as well as oil and water. The current climate of the women’s rights movement in the West has cornered many of us. I have found myself going back and forth between becoming disillusioned with either the religion in which I established my sense of morality or the true ideals of feminism I work so hard to embody. Muslim women are the most prominent example of individuals unfairly painted as deadlocked between Islam and women’s rights, often stereotyped as victims by self-proclaimed “culturally superior” Westerners. 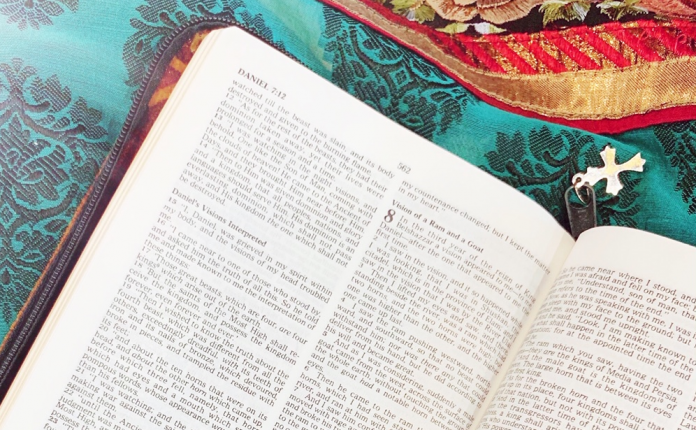 While religion has undoubtedly acted a catalyst in the detrimental rise of the patriarchy, discerning its untainted origins through the use of religious texts and implementing feminist thought allows for necessary growth on both platforms. The simple idea that God is male engenders the false superiority of the secular man and his roles. Unfortunately, while many theologians will agree that God transcends gender and He is not male in the familiar sense, this declaration is not enough. Masculinity is a finite construct that has been raised to the infinite God, and only femininity is left to carry the burden of what is not God. I grew up attending beautiful Indian Orthodox weddings year after year. Indian Orthodox weddings are incredibly rich in tradition and culture which seamlessly blend into hymns and Bible passages that epitomize the roots of Christianity in the merging of two souls. However, there was one Bible verse which I began to hear repeatedly that did not sit well with me. At first glance, the established hierarchy is clear. Nevertheless, the true meaning of this verse is that the words “submit” and “love” are one and the same. A husband’s love inhibits any kind of dictionary definition of submission from his wife. Both parties are expected to surrender to each other in mutual submission to God. The intense patriarchal environment that existed at the time of Christ and the authors of the Bible all but requires the words to be studied through a more magnified lens. The Episcopal Church controversially voted to revise its prayer book in 2018 for the purpose of gender equality. While it may not be realistic for more conservative churches to take on this task anytime soon, the language that leaders use to speak about and to their female counterparts must transform in a manner that does not infantilize them but rather values the perspectives and lessons they bring forth. To say that the heated debate on abortion, especially for progressive Christian women, is complex would be an understatement, but it would also be a disservice to this discussion to omit it. Add the identity of being South Asian, and we have found ourselves in a mess of taboos, stigmas, and misunderstandings when it comes to reproductive health. Abortion is one ordeal of many. Miscarriages, infertility, adoption, contraception, sexual assault, etc. are all stigmatized conversations that are long overdue for dialogues with women and men in the church. Abortion is separated from the rest due to the emotional weight of a conscious decision that must be made. The current political reality of this decision is that it is an individual one. Some women will choose to involve God and some will not. It is not society’s role to decree the scope of your feminism based on that decision, nor is it a male-dominated religious institution’s role to proclaim the extent of your Christianity. South Asian churches especially must do better in bringing these issues to light, as miscarriages and infertility are two of the most isolating experiences women face, despite how common it is. Moreover, the church must make greater efforts to provide spaces for the voices of educated women and learn from those women themselves. If these discussions do not take place, it is not unreasonable for women to become disenchanted with the church and make sense of their struggles elsewhere. In many South Asian households, saying the word ‘feminism’ is just as bad as saying the other f-word. In my own home, I used to automatically switch tabs between news articles on the feminist movement to a random science journal whenever my mom walked in the room. 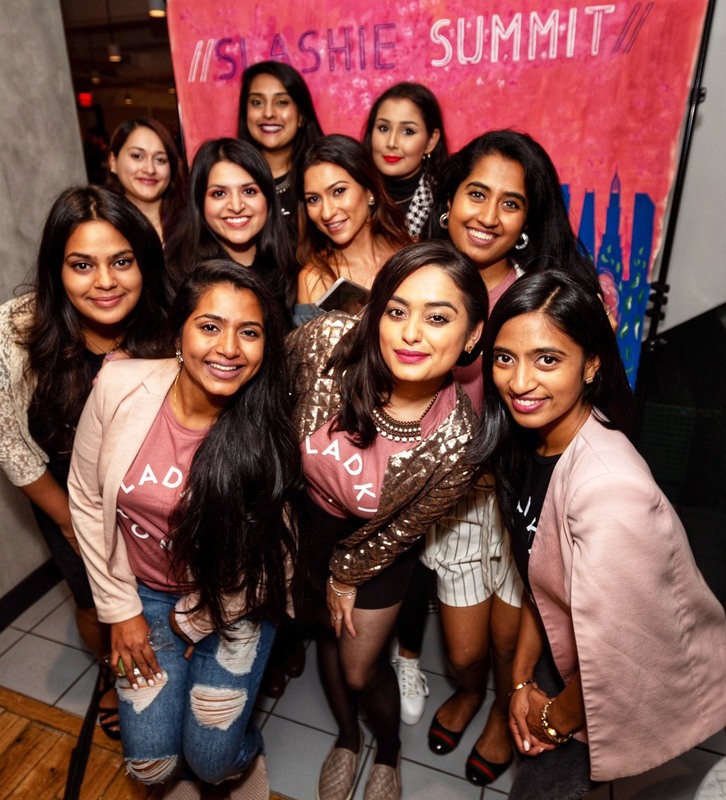 The reality is that the future of the church in the South Asian diaspora is dependent on these women and true, intersectional feminism is dependent on the perspectives and voices of Christian women. Feminism is unique in its activism in that the women behind it are not united through a shared history, as opposed to activists of the same racial background. This makes it all the more important that we listen to each other’s trials and tribulations and the church paves the way to do so rather than hinders it. Identifying as a Christian, identifying as a feminist, or, God forbid, identifying as both will only foster a diversity of thought that expands the blessings that Christianity provides in the form of empowerment. Elizabeth Varghese is a student in the Scholars for Medicine (B.S./M.D.) program at Stony Brook University on Long Island, NY. She is a double major in biology and women’s studies, and hopes to find a career as a physician at the interface of her three greatest passions - medicine, communications, and women’s issues. Varghese has served as a research intern in multiple disciplines including vascular surgery and obstetrics and gynecology, and was one of the youngest presenters at the Biomedical Engineering Society (BMES) conference in Phoenix, AZ in 2017. She loves to read and write in her free time, and her favorite books are memoirs written by prominent women in politics as well as by physician-writers who reflect on the beauty, the flaws, and the insanity of medicine and how it has impacted their lives.